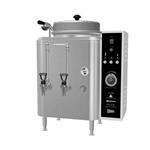 Whip up large amounts of hot or cold tea in a flash with the help of industrial tea brewing equipment from our amazing selection. 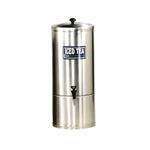 Perfect for everything from high-volume restaurants and catering companies to quaint concession stands and delis, these tea brewers streamline the brewing process so that you can get more cups out with less time invested. We’re happy to offer a great variety of brewers by Grindmaster-Cecilware for any commercial environment. If you’re in the market for a high-capacity hot tea brewer, look no further. 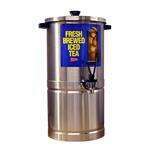 Take a peek at one of our Chinese hot tea urns featuring several dispensers that brew up to 3 gallons of tea at a time. These urns are equipped with the best commercial-grade parts, including silicone fittings to prevent corrosion, pitting and leakage. They are also designed to be easy and safe to use for your employees, with simple timers, seamless urn liners and features that help you brew the right amount of tea every time. 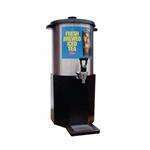 We’re also a great resource for anyone searching for top-of-the-line iced tea dispensers and brewers. 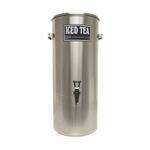 Check out one of our high-end iced tea brewers equipped with user-friendly, easy-to-clean components, or try out one of Grindmaster-Cecilware’s bulk liquid dispensers to store your iced tea after it’s brewed. These dispensers can be used in the back of the house as well as in self-serve environments. 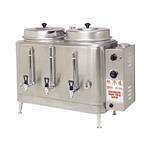 Why buy your commercial tea brewers and supplies from us? Well, at CKitchen, we make no compromises when it comes to premium service — it’s always a given. Plus, we offer a low-price guarantee and free shipping on everything!